Homes can be rented separately. Please message for more information. *Peak season and holiday rates may apply. 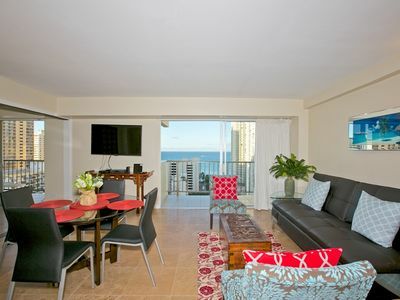 Hibiscus Home - 5 BR/3.5 bath $345/night for up to 6 guests +taxes&fees (max.10guests). 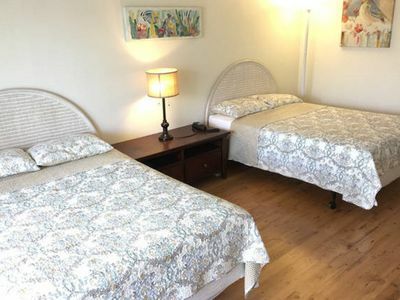 Pikake Home - 2 BR/1 bath $130/night up to 2 guests +taxes&fees (max.4guests). 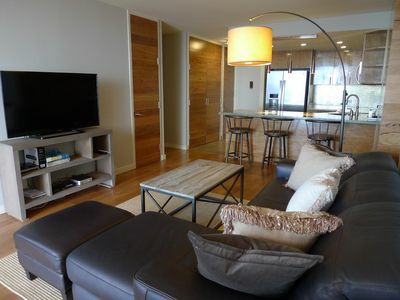 Plumeria Home - 4 BR/2 Bath $195/night up to 4 guests +taxes&fees(max.8guests). 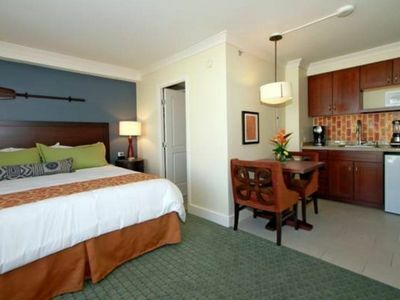 *Additional guests: $25 per guest, per night + taxes/fees. 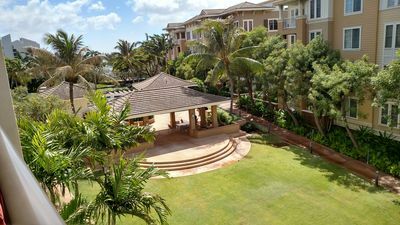 A stunning retreat in the heart of Honolulu – Na Pua Lani – the Heavenly Flowers is truly a one-of-a-kind Hawaiian Estate comprised of three separate elegant houses. 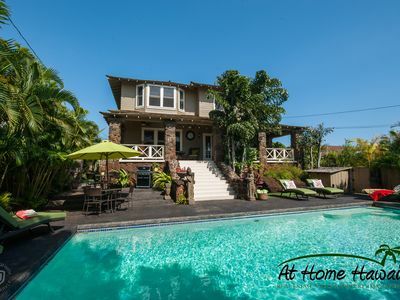 The “Hibiscus” is an incredible restoration of an early 1900's classic residence with 5 bedrooms and 3 full bathrooms plus a half bath for $350/night plus taxes and fees. Sleeps up to 10 people. 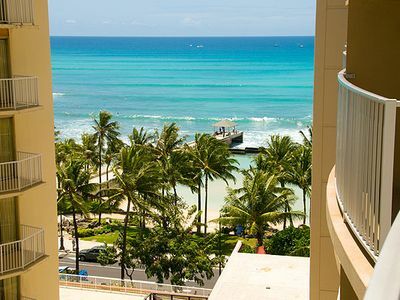 Enjoy the sophisticated tropical design and furnishings along with the exquisite craftsmanship of old Hawaii and views toward Diamond Head. A basement bedroom has it's own entry door as well as interior stairs to the main house - the perfect getaway for someone wanting a bit more privacy. The large pool is surrounded with tropical landscaping and complete with songbirds that live there too. 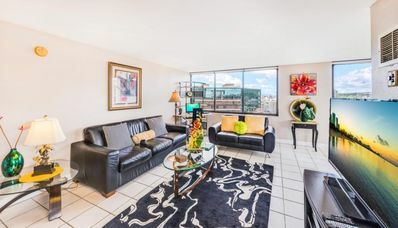 The large lanai is the perfect place to relax overlooking the pool and a charming office at one end is the ideal place to get a bit of work done. 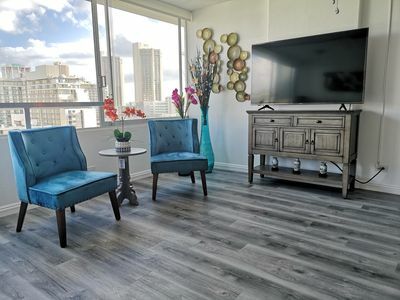 This home is fully furnished, including linens and kitchenware. 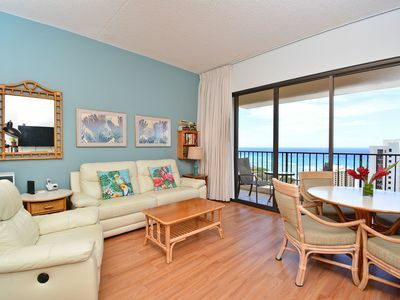 There's garage parking, with pool (Pool size 36'x17') and beach toys included. 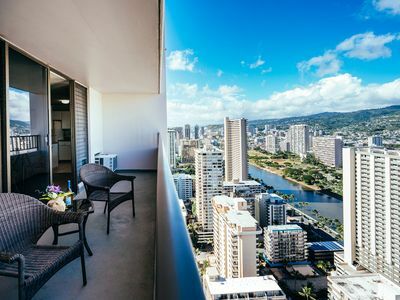 The Kaimuki Neighborhood is close to sandy beaches, Waikiki, Diamond Head and Manoa, in a peaceful, charming neighborhood known for its niche shops, specialty boutiques and award–winning eateries along Waialae Avenue. This homes' unique character and prime location make it a wonderful place to live, work, play and visit. 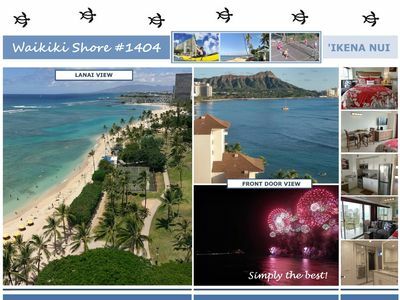 The "Pikake Cottage" is a two-bedroom, one bath home situated above the garage where you can feel the Hawaiian breezes and view of Diamond Head. Nightly price of $150 plus taxes and fees. Sleeps 4 people. 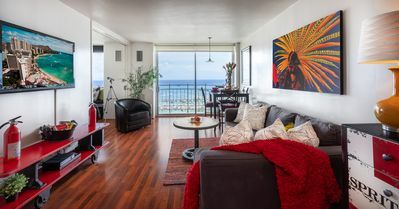 The delightful island-style décor creates a relaxed and charming atmosphere for happy Hawaiian living. 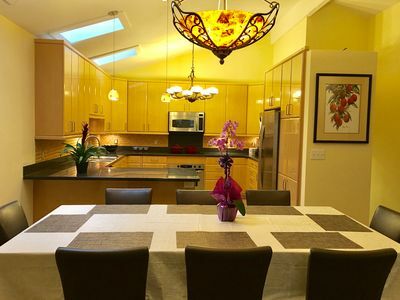 This home is fully furnished, including linens and kitchenware. 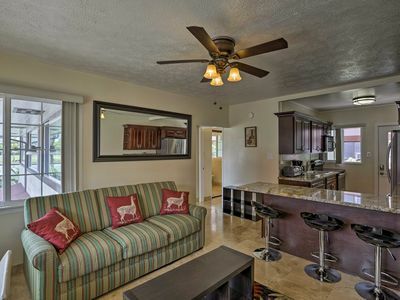 The well stocked kitchen is delightful to cook in and a common picnic area in the tropical yard provides an ideal place to enjoy dinner and the balmy weather. There's garage parking and beach toys included. 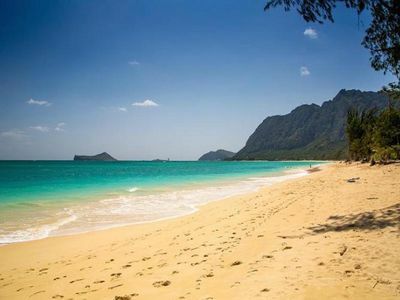 "Plumera" is a Gorgeous Garden Retreat on the Na Pua Lani peaceful estate. 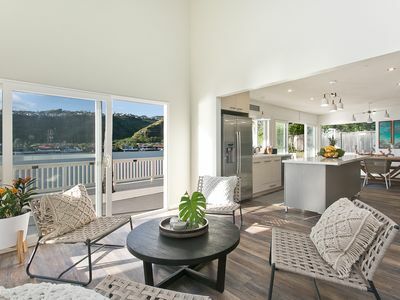 Renovated designer bungalow with 4 bedrooms and 2 full bathrooms rents for $250/night plus taxes and fees. Sleeps 8 people. The living space opens onto a lanai in a tropical garden setting. The home is designed with two bedrooms and 1 full bathroom on each side of the home, granting an element of privacy. 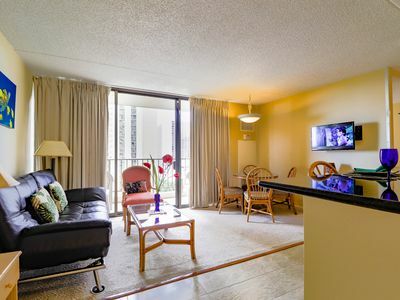 Fully furnished, well stocked kitchen and delightful island-style décor with a charming atmosphere = happy Hawaiian holiday. 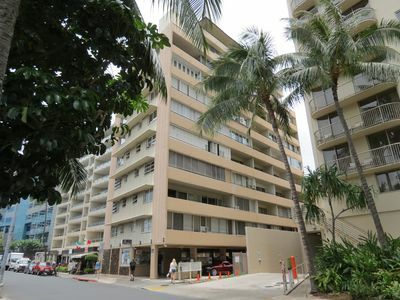 Hip & convenient location close to all Honolulu highlights, eateries & beaches. Parking and beach toys included. Homes can be rented separately. Please message for more information. 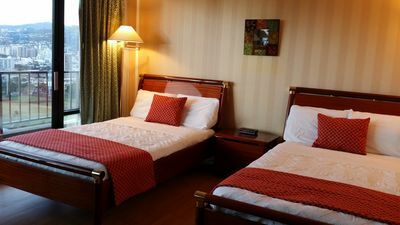 Cleaning policy: we require our guests, staying more than 45 days, to have a monthly cleaning service paid for by the tenant(s). 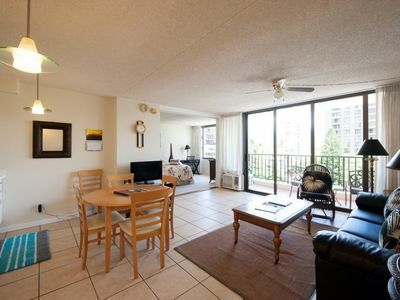 Honolulu Apt w/ Balcony on Canal - Walk to Beach!